Through an approach that blends data policy and data strategy development, we help establish infrastructure and governance frameworks that will enable the social sector to better share, use, and learn from data. We work with nonprofits and civil society groups, government, funders, and global data initiatives. Explore some of our reports and briefs on this page. This is the final brief in a series of learning materials on data and evidence-based grantmaking, created with Philanthropic Foundations Canada. 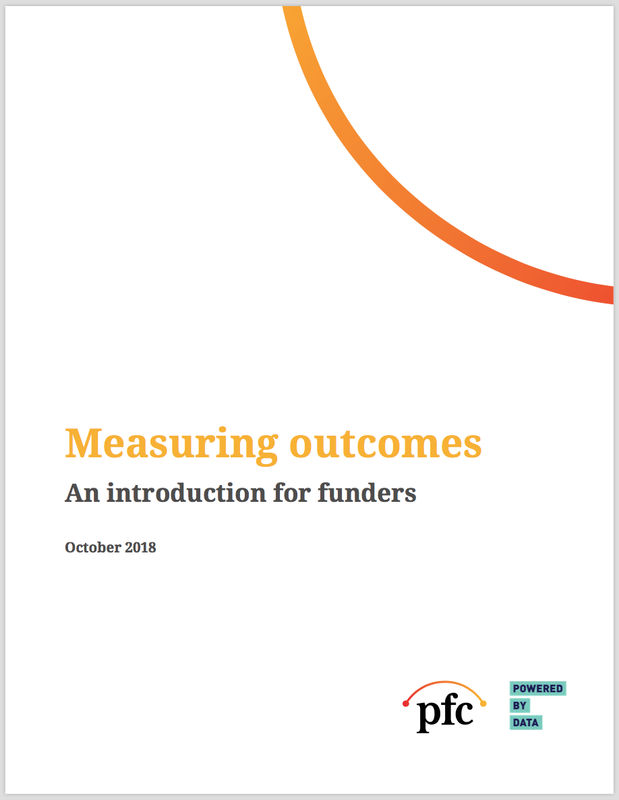 The brief explores some ways funders can use outcomes data to understand their impact. What kind of impact did a grantee intervention have? What are the long-term outcomes for beneficiaries who participated in funded programs? What types of social interventions work, and why? Are the needs of beneficiaries being met? This document discusses some of the challenges nonprofits face in collecting indices for impact, and reviews potential shared infrastructure solutions for accessing data on beneficiary outcomes and feedback. This is the second in a series of learning materials on data and evidence-based grantmaking, created with Philanthropic Foundations Canada. The brief explores how funders can use grants data to answer questions such as: What causes and organizations are already being funded—and by whom? Which initiatives are new? Are there regions, demographics, or causes that are being underfunded? The brief draws on existing uses in Canada, outlines current barriers to accessing these data, and highlights two case studies of how funders are working together to leverage this data in the USA and the UK. 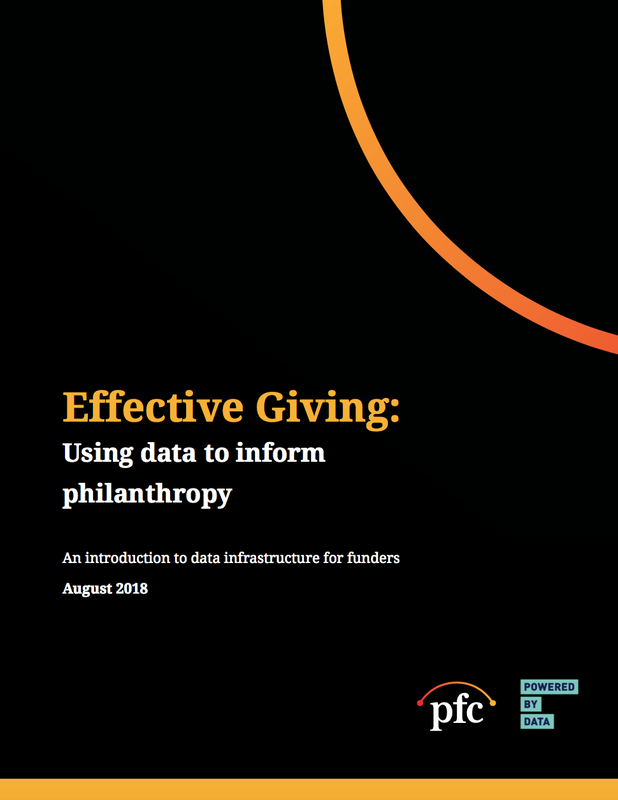 This is the first in a series of learning materials on data and evidence-based grantmaking, created with Philanthropic Foundations Canada (PFC). The document walks funders through the opportunity to use data in each stage of grantmaking, helping answer questions such as: What causes should I be funding? Does my giving portfolio have a social impact? Are beneficiary needs being met? The brief also highlights challenges funders face in accessing the data needed for evidence-based decisions, and how shared infrastructure can help address these barriers. The Canadian Space Agency has mandate to comply with and fulfil the Treasury Board Secretariat’s (TBS) Directive on Open Government. Powered by Data was hired to provide strategic advice and guidance on CSA’s open data and information publishing practices. Our set of recommendations was informed by a two-stage consultation with potential users of CSA data assets, as well as a research review of data-sharing practices from six comparable space agencies. Canadian Heritage is currently co-leading the Government of Canada’s Open Government commitments to enhance access to culture & heritage collections, and to increase transparency of grants and contributions funding. 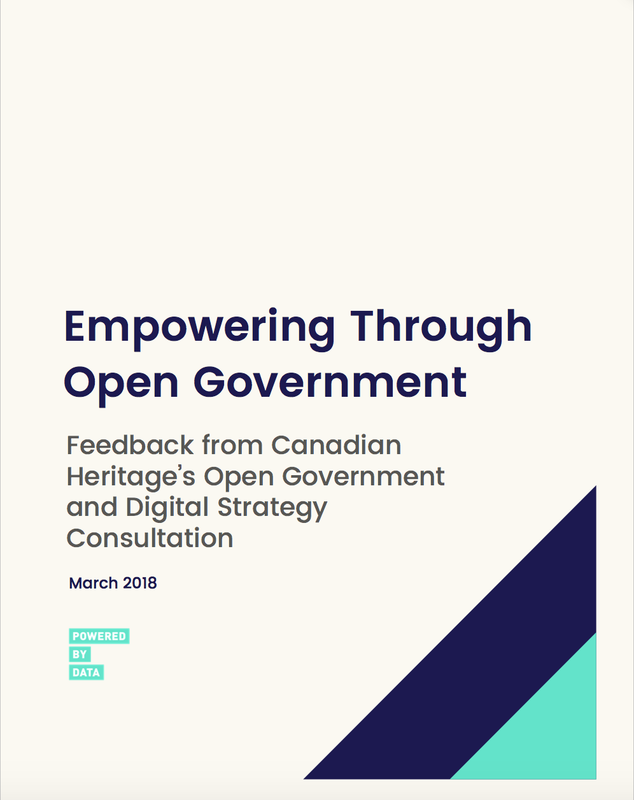 We conducted two consultations for Canadian Heritage to help them better understand stakeholder needs, identify use cases, prioritize datasets, and determine best practices for carrying out these commitments in their open government strategy and digital strategy. This document serves as an introductory resource on administrative data-use in the social sector. We begin by clarifying what we mean by “administrative data sharing”—defining key terms and presenting two case studies of administrative data being leveraged for public benefit. We then outline the benefits, risks, and conditions for success of increased administrative data sharing in the Canadian context. This document is part of Powered by Data’s initiative to develop a civil society policy coalition to co-create a Canadian policy agenda around administrative data-sharing. This report is part of the Transform the Sector 2017 Series and provides an overview of the discussions at Transform the Sector 2017 that focused on how digital data practices in the social sector can be done ethically. It also provides additional context and background on this topic. Using digital data is crucial for the social sector to provide the best services and care to communities. Digital data use in the social sector has many advantages, but it can also expose organizations and governments to new risks and vulnerabilities. Data collected or used unethically can enable discrimination or further marginalize already vulnerable populations. There’s a growing body of strategic approaches that help reduce these risks. The International Aid Transparency Initiative (IATI) is a global initiative that aims to increase access to, and use of, data on international aid spending. PBD was contracted by the Government of Canada—the chair of the Governing Board of IATI—to provide a set of recommended options for long-term institutional arrangements of IATI. Our recommendations encompassed issues such as membership, funding, governance structure, secretariat, and transitional arrangements. We worked with the Ontario Nonprofit Network (ONN) to develop a data strategy for the nonprofit sector in Ontario. The strategy document outlines the need for: open data standards, an enabling policy environment, data capacity and skills development in the sector, and leadership from a critical mass of organizations to help develop and pilot data-driven initiatives. Interested in working with us? We'll help design a data strategy to accomplish your mission.